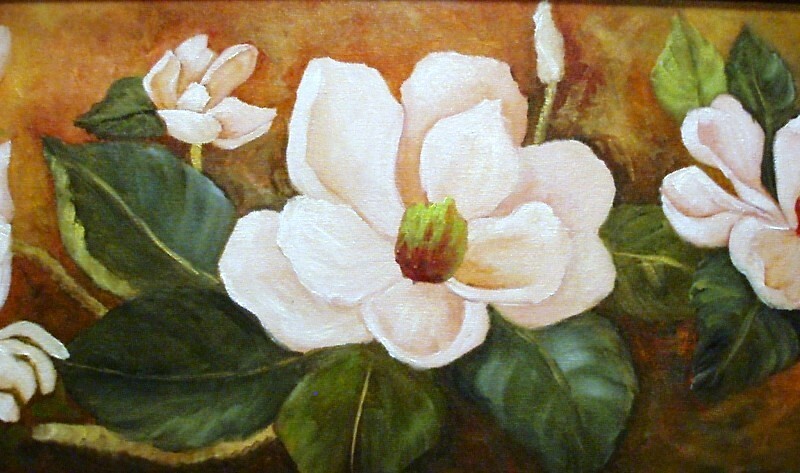 Magnolias This Season are done in oils and on a stretched canvas. 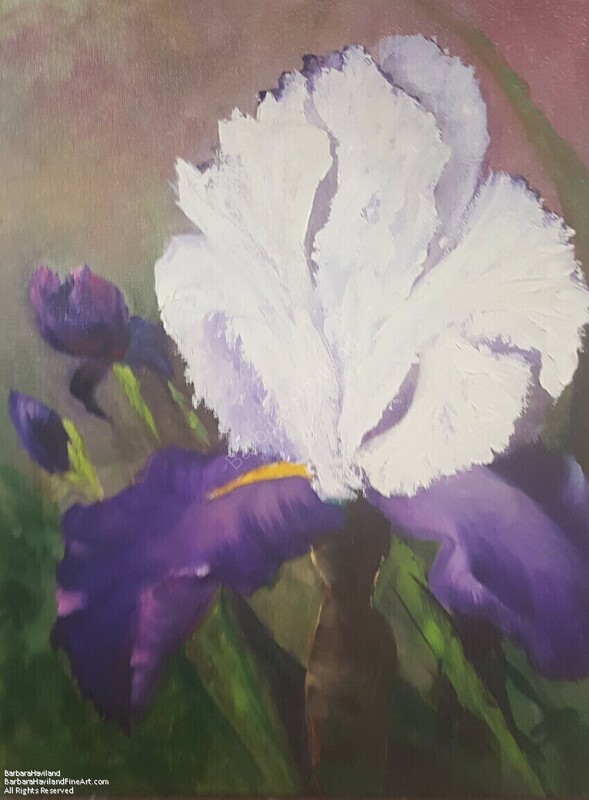 The painting is signed and framed by me..
Iris Purple White is done with a brush and a knife. I wanted textures in the top of the Iris. I wanted it have a a voice. The falls are kind of blended with purples and permanent rose. I did this oil painting on a canvas hardboard panel. You will need to frame as paintings always finish up with a nice frame. I do hope you like this piece. Pink Rose is done in oils and the month of February, I will be posting flowers for your sweetie. This one measures 5′ x 7″. The painting is signed and framed for you and never needs watering. Red Tulip is my second floral of the month of February. It measures 5″ x 7″ and is signed and framed for you. I painted this background with dark colors of Blues,purples,reds and some bright yellows and some oranges. 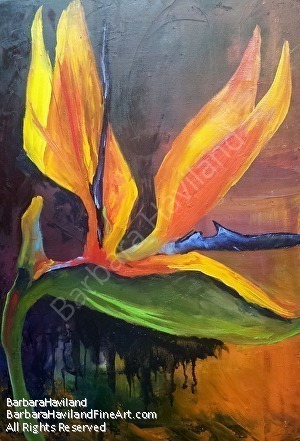 I wanted to have a flower that went with the background and the Bird of Paradise just hit the spot.. My husband is making a frame for it now.